Sokoto State Governor, Aminu Tambuwal, on Wednesday said the success of the Peoples Democratic Party’s North West rally held in the state on Monday was instilling fear in the minds of his Kaduna State counterpart, Nasir El-Ruffin, and his cohorts. El-Rufai had on Tuesday claimed that the PDP rented people from Niger Republic to attend the rally. He said the statement was a proof that the All Progressives Congress and its leadership were shocked by the huge turnout the rally recorded. He said the party would fail in the forthcoming general elections allegedly because of bad leadership, corruption and failure to end terrorism among others. 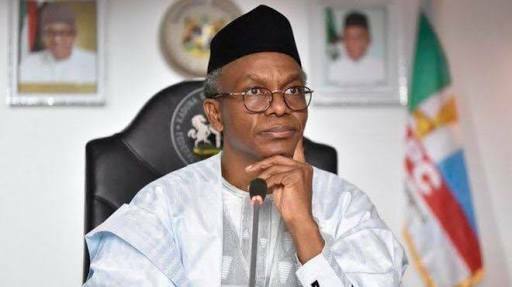 The statement read, “El-Rufai should not forget so soon that his hands were deeply involved in messing up of the present administration as a result of his bad governance and policies as governor of Kaduna State, through mass sacking of innocent primary school teachers, unnecessary demolition of peoples landed properties, disregards and disrespects to traditional rulers, Northern elders, leaders and other respected institutions, escalation of insecurity, refusal to obey the court orders and rule of law among several others. “El-Rufai is coldhearted. It was the same North-West people that he and his party begged for support in 2015, but because the failure of APC government, incessant hunger and poverty all over the region, that have made them to defect to PDP. He is now calling them foreigners. Tambuwal said he would defeat APC and deliver the entire North West to PDP because of massive support, love and loyalty of the people of the area. Hey Buddy!, I found this information for you: "Tambuwal Replies el-Rufai Over Huge Crowd At Sokoto Rally". Here is the website link: https://headlinenews365.com/tambuwal-replies-el-rufai-over-huge-crowd-at-sokoto-rally/. Thank you.